September is now upon us, and with it comes Traumatic Brain Injury (TBI) Awareness Month and Suicide Prevention Awareness Month, both of which provide a chance to recognize and raise awareness of TBIs and suicide prevention, two of the most serious problems currently faced by military members and veterans. September is also a time to reflect on those service members who have made the ultimate sacrifice on behalf of our country, as well as to show support for their family members by lighting luminaries at dusk on Gold Star Family Day. To participate in this show of support, join us on Sunday, September 25 to let these Gold Star families know that, if even for just a day, their burden is our burden too. Show your support to Gold Star family members nation-wide. Show your support and take the pledge! Complete our online form TODAY, then mark your calendar for the last Sunday in September every year to light a luminary for Gold Star families, starting this September 25. 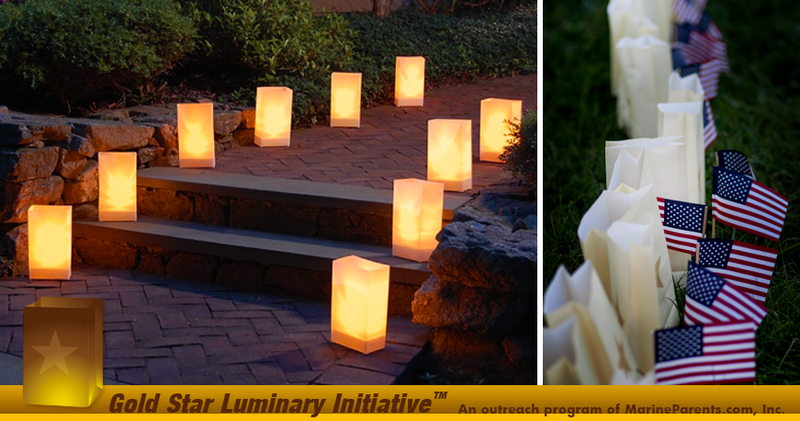 Visit the Luminary Initiative website to read more and take the pledge. September is both Traumatic Brain Injury (TBI) Month and Suicide Awareness Month, a time to raise awareness of, and bring attention to, the issues surrounding both phenomena, especially among members of the military community. What's After Boot (WAB) is a service from MarineParents.com that provides information plus "a Place to Connect & Share®" for parents, spouses, friends, and family members of newly-graduated Marines. Currently, our WAB Facebook groups have over 7,000 members who have Marines just like you. It can be confusing to understand where your Marine is headed after graduation from boot camp and he or she must return to his/her job after 10-day leave. We're here to get you pointed in the right direction. 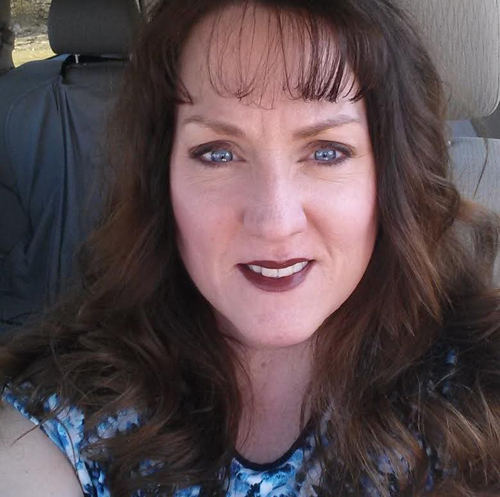 This week's featured volunteer is a proud Marine mother from Pennsylvania--Kerry Salvaggio. Kerry has been volunteering with Marine Parents since 2016, currently serving as a Platoon Parent for the India Company, Parris Island. As a Platoon Parent, Kerry offers words of encouragement and motivation to help families feel more at ease while their loved one is away. *Image info: Kerry Salvaggio. (Image used with permission). Team Marine Parents™ (TMP) is a group of individuals who participate in athletic events nationwide to support our troops. The mission is to raise funds and awareness of the organization's outreach programs. 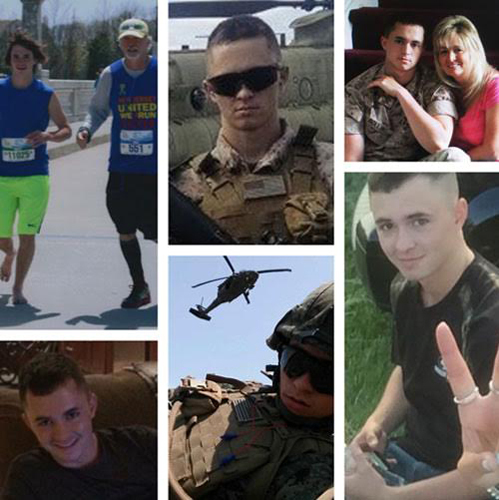 This week's featured TMP participant is a Marine from New Jersey! Michael is running the 41st Marine Corps Marathon in October, and has already raised over $900 for the outreach programs of MarineParents.com, Inc.
*Image info: Michael R. Collins. (Image used with permission). Marines are known for being hard-chargers; for never giving up; for adapting and overcoming whatever obstacles they may face. Perhaps no Marine exemplified this willingness to take on, and prevail against, overwhelming odds better than Guy Gabaldon-"The Pied Piper of Saipan." 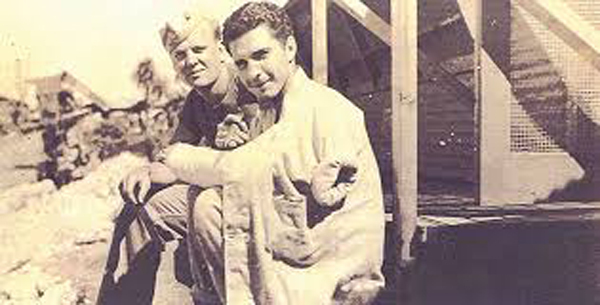 *Image info: Guy Gabaldon (right) (USMC photo/released). Seventy-one years ago this week, on September 2, 1945, the Japanese Empire officially surrendered to Allied forces on board the battleship USS Missouri in Tokyo Bay, officially bringing World War II to an end. 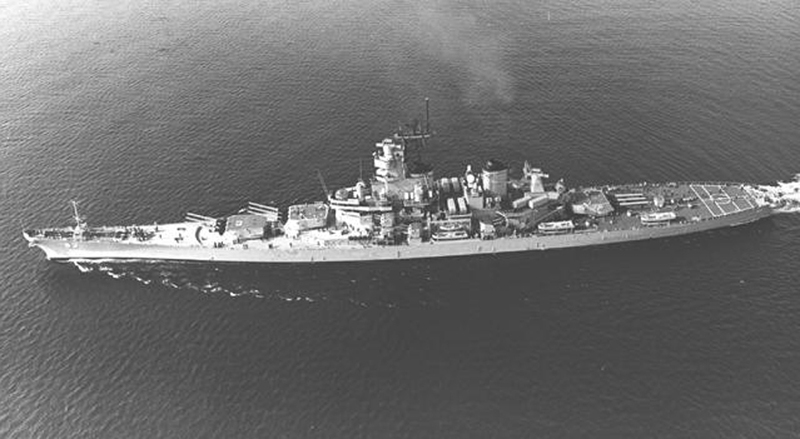 *Image info: The USS Missouri. (U.S. Navy photo by PHAN Andrew Brown/released). *Image info:(left) An AH-1 Cobra (Right) and a UH-1Y Huey prepare to touch down at a refuel point before a flight mission during an exercise in February, 2016. (USMC photo by Corporal William Hester). (middle) Corporal Michael Ouellette (USMC photo/released). (right) The new Marine Raider insignia (USMC image/released). We just added new product to the EGA Shop! 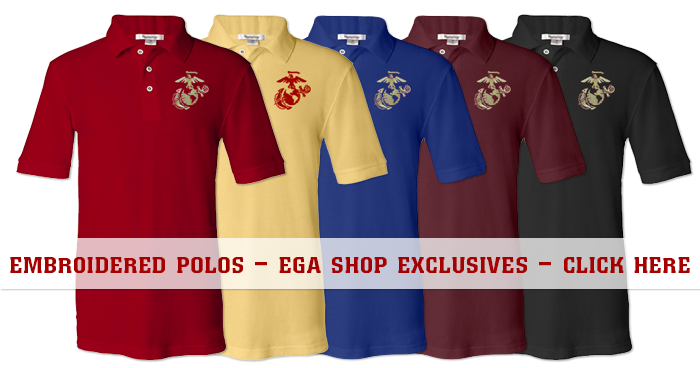 Whether you're a Marine or a Marine family member, our newest polo shows your style and your support of the Corps. These beautiful polos feature an Eagle, Globe and Anchor embroidered on the left chest. At the EGA Shop, 100% of the proceeds benefit the outreach programs of MarineParents.com, Inc.